Michael E. Mooney, chairman of Nutter, was featured on Boston.com in Bill Brett’s “Boston Party Pictures” at the A Better City 2012 Norman B. Leventhal Awards dinner on October 2. The dinner, which celebrated remarkable achievements in transportation, land development , and the environment, featured U.S. Secretary of Transportation Ray LaHood as the keynote speaker, and honored Amos Hostetter, Jane Garvey, and the Boston Red Sox. Michael presented Mr. Hostetter’s award. 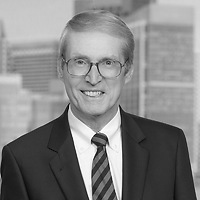 Michael, active in many business, civic, and charitable organizations in Greater Boston, served as chair of the Board of Directors of A Better City (ABC) from 2006-2010. ABC is a nonprofit organization focused on providing the business and institutional leadership essential for ensuring progress and tangible results on transportation, land development, and public realm infrastructure investments that are vital to sustaining and improving the Boston area's economy and quality of life.